431-661 Dr. Jeannette Graf, M.D. Think smooth. Think fresh. Think beautiful-looking skin. When it comes to your head-to-toe skin, don't leave anything up to chance. 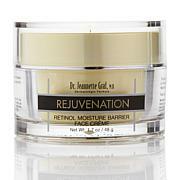 Dr. Graf's creme goes beyond thinking for skin that looks young and radiant. Just because you're of a "certain age", you don't have to look it. Why not keep some information, including your age, to yourself? You wont be disappointed. Great product. I use before bed and skin is still moist in the morning. This one I will definitely reorder! 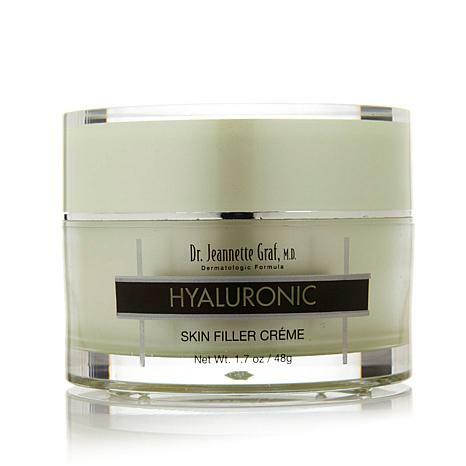 I love the feeling of my skin while using this filler creme. Hyaluronic must be the answer. I am not a young woman and was about to give up chasing all the expensive creams that promised lots and did nothing for a mature skin. BUT I noticed a smoother, brighter, clearer, refreshed skin after using one jar of this product--like having a rested skin after a good night's sleep. So, I bought another jar and will continue use along with her Youth Renewal Foaming facial cleanser. Maybe not a miracle overnight change but with use a definite change in skin texture and look. I am surprised and very pleased and look forward to the improvement of or just maintaining my better-looking skin with this product. This is my go to for use under my makeup and even if I am going for a no makeup day. I'm 65 and look 45 50 wish and I've tried them all, this is the best !! How could it even be sold out. I'm frustrated with HSN for letting this happen. I need to order on auto ship I guess !! For round-the-clock hydration this is a winning bet. This unique facial formula contains encapsulated liposomes to deliver time-released, moisturizing benefits to your complexion. 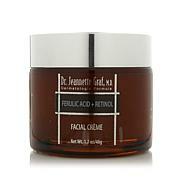 This antioxidant-rich creme may be used as part of your morning and evening skin care routine. You receive a 1 oz. jar.